If we could all get into the mind of every single website visitor that hit our website over the years then our lives would be so much easier. In fact, just understanding their behaviour is a step closer to a better click to sale conversion rate. Lets face it, even though search engine keywords are the most targeted form of online advertising it doesn’t mean that every single visitor that hits your website has the intention to buy from you, or will buy from you. There are some of the key reasons right there why our websites visitors are not buying from us. Simple! Well, no it is not, we may have found a few answers to our problems but we haven’t found the solution and fixed it yet. So what do I do to fix my website? Fixing your website is not always an easy solution, it is the only solution, otherwise you are going to be stuck in the same old hole until you dig your way out of it, or deeper in. What is the point of a website that doesn’t convert? Here I will share with you some modern day upgrades to help you to increase your conversion rates, then you can take them to your web designer, ask him to upgrade your website, pay him his fees and tell him to send me a commission via Paypal. In the modern day of the Internet did you know more and more people are turning to mobile phones as a way to search the Internet? Think about it, Google’s Hummingbird update is the massive clue, they know which way the digital era is heading and they are making preparations for it. Think semantics and long tail search coming from a mobile phone, think about the use of voice recognition when it comes to making a search on Google. These two elements of search have one thing in common, when it comes to a mobile phone more often than not the person will ask it a question rather than using a keyword to search. The first thing you must do to increase leads/sales/conversions is to make your website fully responsive. 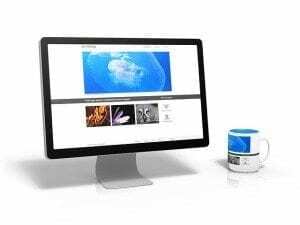 This essentially means that your website will fit into the size of any browser, whether it is on the big screen of your laptop or your iPhone’s smaller screen. Our studies show that our clients get a bigger increase in leads & sales when it comes to making their website fully responsive. Check the Google mobile friendly testing tool to see if you pass the mobile friendly test. ‘What is one of those’, I hear you say? A heat map is designed to track where your visitors have been on your website by following their cursor or a click on the landing page and leaving a trail. On a website we have setup on Clicktale you can see the cool and hot areas of a website. The red areas are the hot areas of your website whilst the lighter areas are of less interest to your visitors and are considered cooler. Using a heat map you can get a better understanding of your landing pages by seeing where that pages visitors are navigating to. A serious matter that people overlook is the loading speed of their website. Not too long back we got a client who had problems loading their website on a mobile browser after we told them about the shift to mobile search. They istened to us and wanted to prepare themselves and their website for mobile phone browsers. After just 5 minutes of looking at their website I had figured out the answer… their images were too big. The web designer did a good job on the web design itself but they hadn’t cropped the photographs on the homepage, they had simply resized them. Well, when you resize an image via HTML or CSS the image may look smaller but it is in fact still the same capacity. If I remember correctly an average photograph from a mobile phone is around 2mb to 3mb and if you have 10-12 of these on your homepage then that page is going to take a while to load, especially on a mobile browser with a limited WiFi access. All I needed to do was to crop (optimise) the images which reduced the capacity of the photographs by 90% and also cut the loading speeds and as a result they could now see their website loading much quicker on mobile browsers. With the post above pointing out the evolution of search into mobile browsers then don’t you think that this could be a very important piece of advice for our clients?